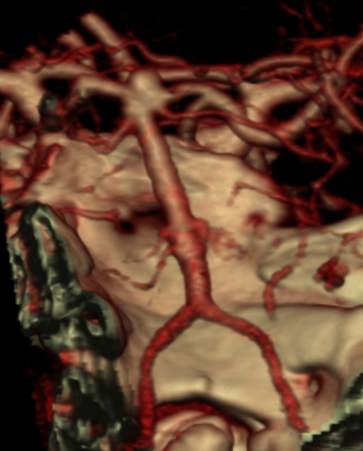 An XT-27 microcatheter was navigated into the right PCA via a Synchro-2 soft microguidewire. 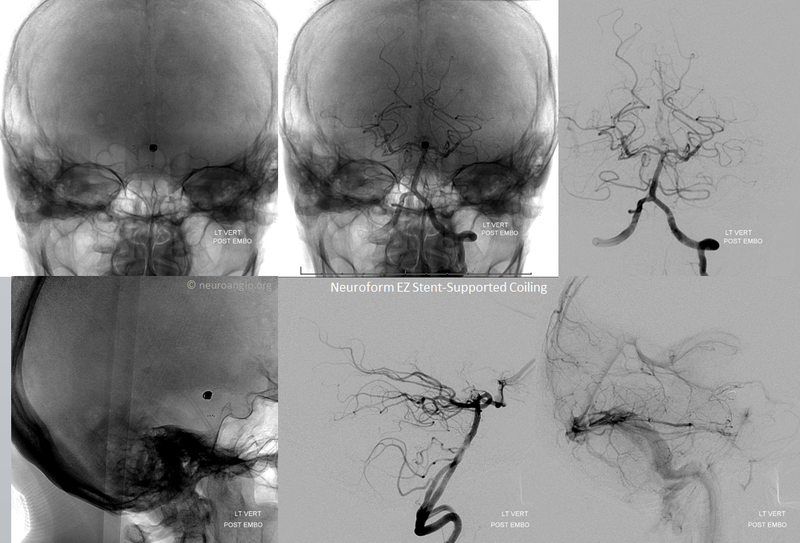 It should be pointed out that part of the ease in Neuroform delivery comes from development of better 027 catheters. 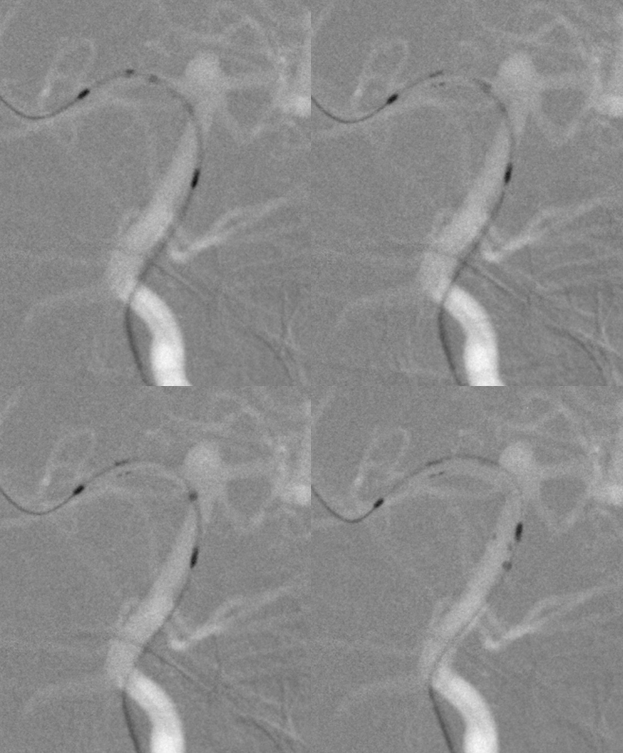 The Marksman, and subsequent 027 catheters such as the XT-27, developed to enable better navigation and deployment of the Pipeline, are vastly superior to the real dinosaurs like the Renegade HI-FLO, and have by extension made the Neuroform a still friendlier choice. 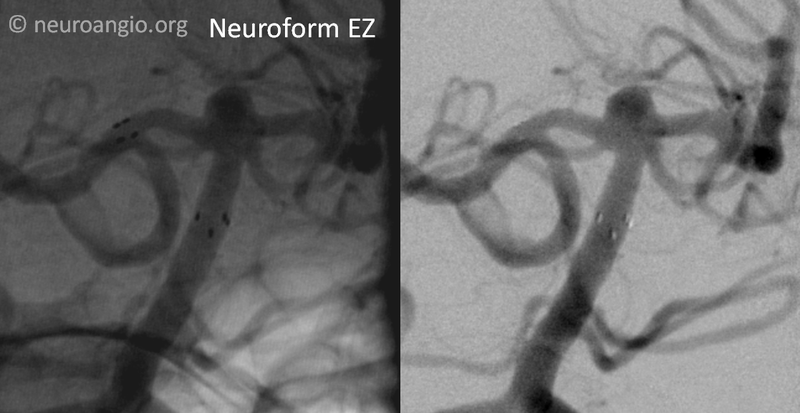 A 3×15 Neuroform EZ is deployed — it is critical to choose the right size. 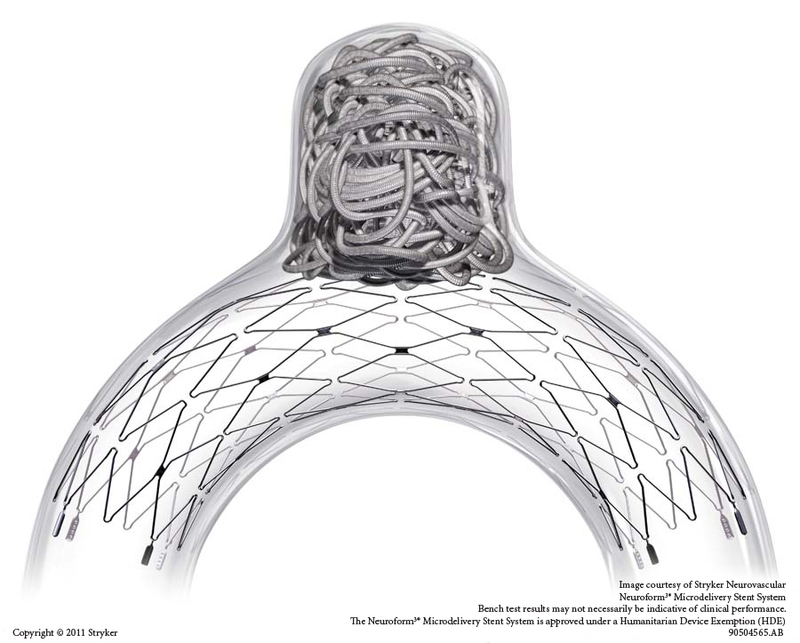 Oversizing ALL laser-cut stents (including the incoming Atlas) will increase metal coverage (in contradistinction to the Pipeline, where oversizing decreases metal coverage). 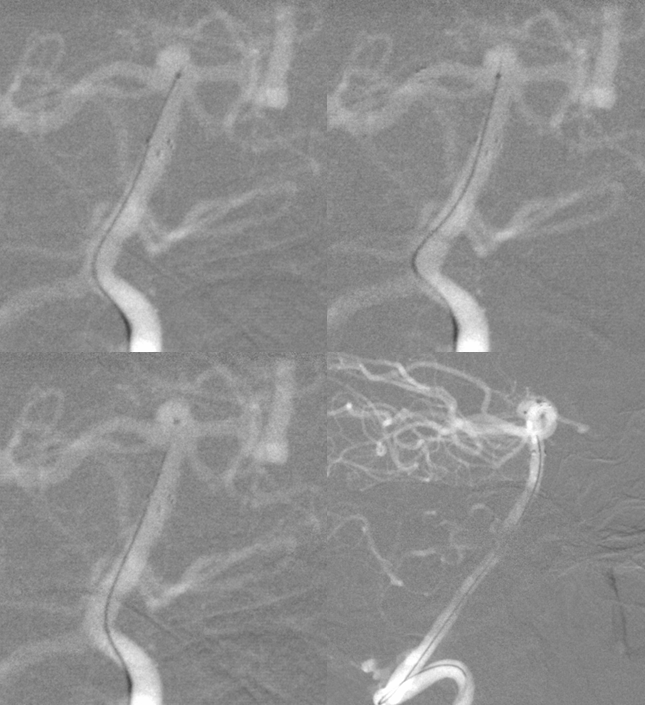 Increased coverage in the basilar and P1 means greater chance of perforator occlusion. 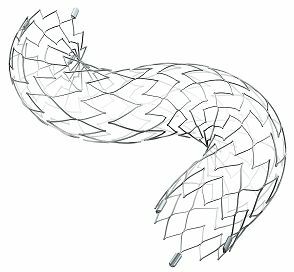 It is also important to place the stent in such as way as to minimize the chance of one of its markers prolapsing into a perforator, as it sometimes likes to do. 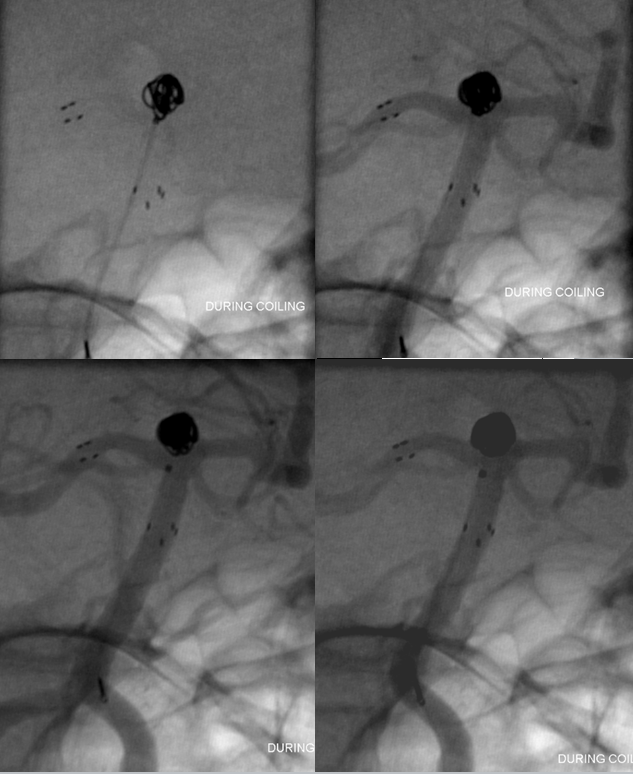 For this reason, we deployed a bit distal to the right P1 thalamoperforator, thus also covering the PCOM. So, lets see what the Brave New World has in store for us. 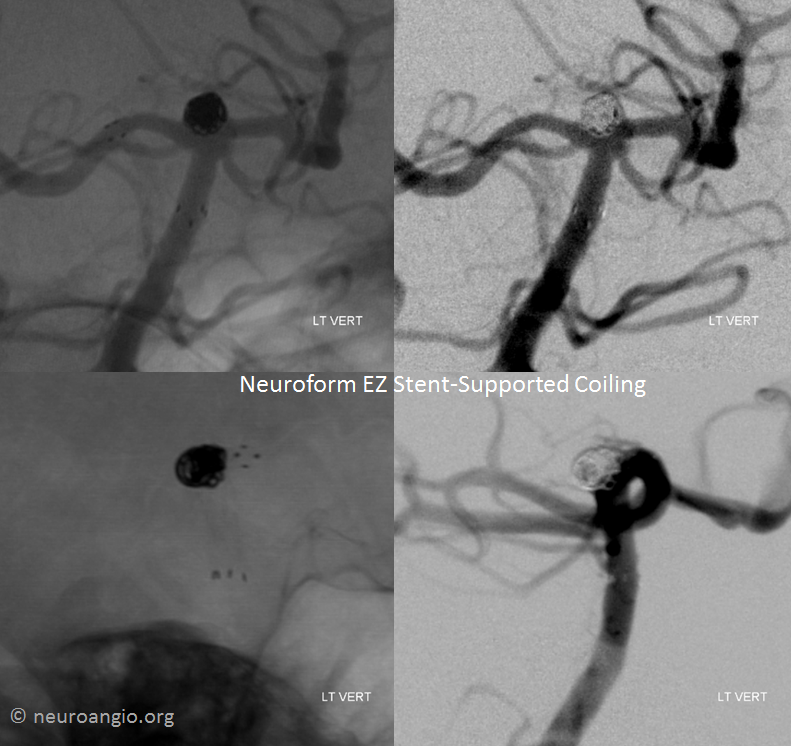 And, although the role of Neuroform EZ may ultimately be marginal, stent-assisted coiling as a method is here to stay. 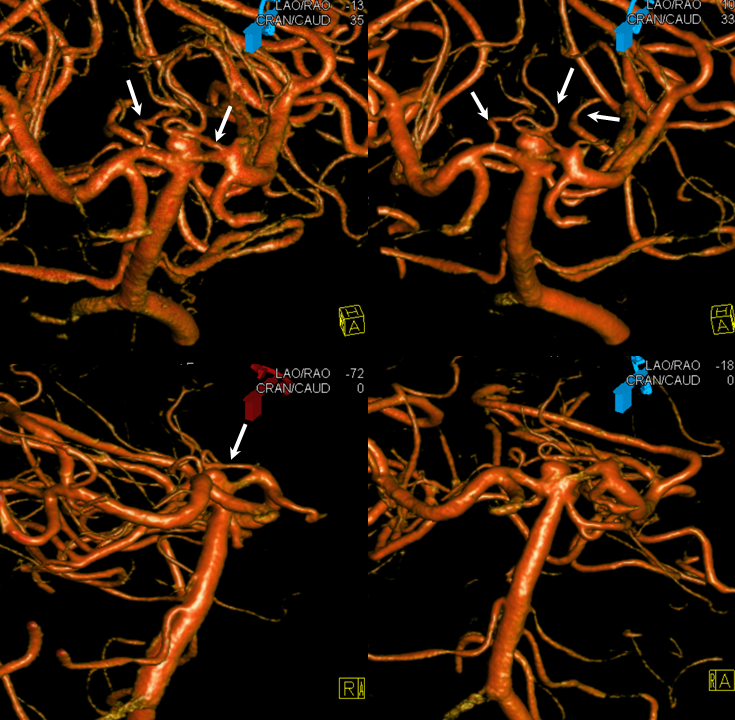 I cannot think of any other presently available endovascular tool, in US or elsewhere, that is capable of treating the above aneurysm as safely and effectively as stent-assisted coiling. 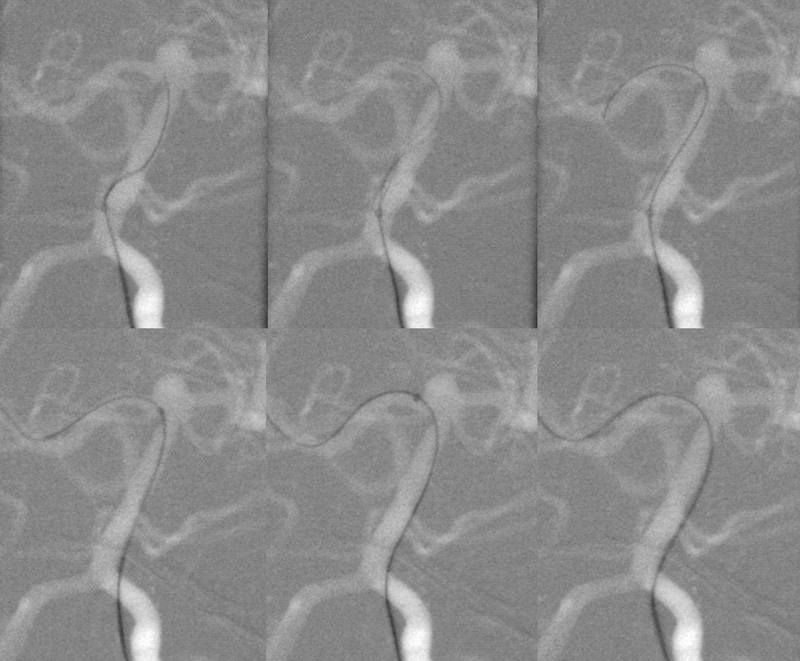 So, in this case, and in many others, EZ does it!